Did you know Peru has a national quidditch team—at least according to Harry Potter fans? Monograms has not included a fantasy quidditch game on this vacation, but we have included the must-see attractions you’d expect to see in Peru...and we’ve made it easy for you by handling all the details! On this 12-day vacation, we’ve arranged your hotel reservations, sightseeing, daily breakfast (plus three lunches and one dinner), and transportation. You’ll also have the services of a one-of-a-kind feature, the Monograms Local Host®, who is there for you in each city to give you insider knowledge, answer questions, translate for you if needed, and help make sure your vacation runs smoothly. 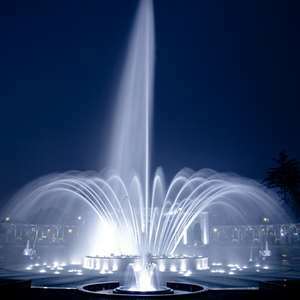 Your vacation begins the moment you arrive, as we can whisk from the airport to your selected hotel. Your Local Host will greet you with a warm welcome and materials to help you get settled and personalize your vacation. The next morning, after your included breakfast, we’ll pick you up from your hotel for guided sightseeing with a local expert. Hear insider stories and see the must-see attractions, such as Santo Domingo Convent and Plaza de Armas. 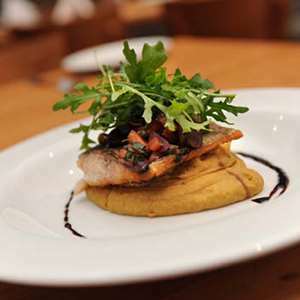 Peru has become renowned as a gastronomic destination so be sure to ask your Local Host for the best place to grab some local specialties. The next day, we’ve arranged your transportation to Ica, where you’ll enjoy a flight over the Nazca Lines. Here, you’ll wonder why the ancient Nazca people, who thrived here from 200 BC to 500 AD, created illustrations that could only be seen from the air. 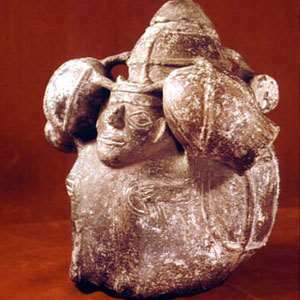 It’s a puzzle that has kept archaeologists speculating ever since they were discovered. Next, you’ll cruise to the Ballestas Islands, inhabited by a wide variety of sea mammals and exotic birds, including Humbolt penguins. 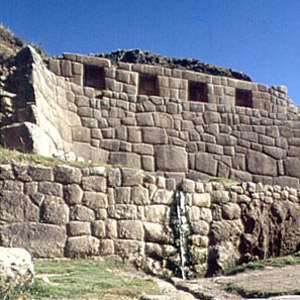 We’ve also arranged your sightseeing of ancient Inca ruins. In the Sacred Valley, visit the Inca fortress of Ollantaytambo, where you’ll see some of the finest examples of Inca masonry and town planning. In Cusco, visit the semi-circular Kenko Amphitheater and the Temple of Sacsayhuaman, built in the early 12th century with some stones weighing more than 350 tons. Of course, no trip to Peru is complete without a visit to Machu Picchu, the most famous Inca fortress set in a majestic setting. You’ll take the train to Machu Picchu, have a guided tour with a local expert, and stay overnight. In the morning, you’ll have the chance to wake up early and see the sunrise over Machu Picchu—a spectacular sight indeed! Next, you are on your way to the town of Puno, on the shores of Lake Titicaca, South America’s largest lake. You’ll enjoy a cruise to Taquile Island, known for its handcrafted textiles, and Uros Islands, made completely of reeds, which are continually added to by the Uros Indians who live there. On this vacation, you’ll be taking buses, trains, planes, and automobiles. You’ll be visiting many ancient sights, small towns, and markets. But don’t worry...we’ve arranged it all for you and handled all the details. Add the time savings and organization hassles, and you’ve got yourself a vacation of a lifetime! 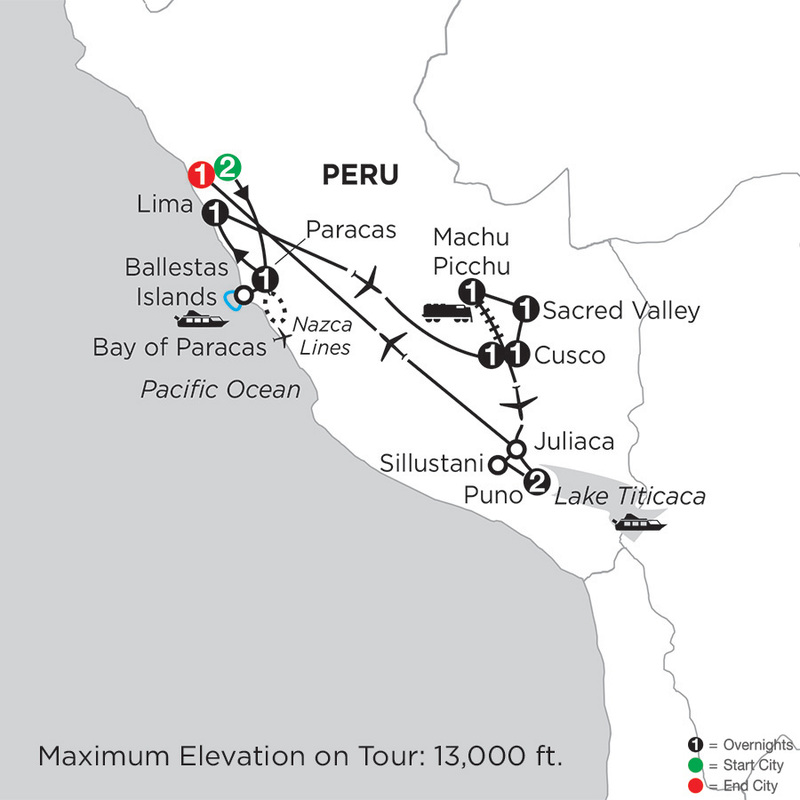 This vacation package to Peru includes the must-see Inca and Peruvian attractions. To personalize your Peru experience even more, choose from the nine trip extensions, including an Amazon adventure or a Galápagos Islands cruise.